We had been con­si­de­ring get­ting a dog for some time, one that would be our fri­end on the road. It had to have a short coat, a hap­py-go-luc­ky natu­re, be adap­ti­ve, a fast lear­ner, and obe­di­ent. 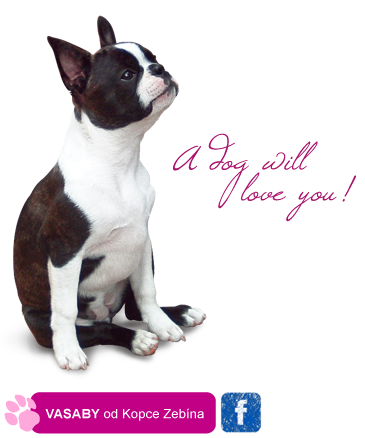 As we’ve alwa­ys liked the Boston Terrier bre­ed, the­re was no doubt this was the right cho­ice for us. Towards the begin­ning of the sum­mer of 2010 we deci­ded to appro­ach a bre­e­der and kindly asked her if we could take a look at her litt­le Bostons in the fle­sh. There was a fre­sh lit­ter of pup­pies back then and one of them was bound to beco­me ours soon were we to be allowed to see them. This is exact­ly what hap­pe­ned! Our first pet Boston was love at first sight! On the first visit she com­for­tably fit­ted into the palm of our hand. By the next visit she was alrea­dy get­ting into mischief. When we arri­ved home with Vasaby, we had no idea that this litt­le doggy would wrap us around her litt­le paw. She did so to such an extent that we were una­ware, until much later, how much she had been chan­ging the pace of our lives. We didn’t mind at all, rather the con­tra­ry! There isn’t a day that goes by when we don’t have a good lau­gh in her com­pa­ny. In the eve­ning, when she is lying by our side after a who­le day of rom­ping around, we watch her sle­e­ping, because even that is amu­se­ment to us. We sim­ply can­not ima­gi­ne things being any other way.